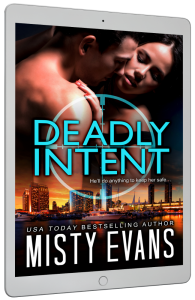 ***Book 2 in USA TODAY bestselling author Misty Evans thrilling romantic suspense series about the Southern California Violent Crimes Taskforce! 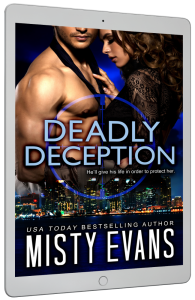 Can Thomas and Ronni learn to trust each other while deceiving the enemy? Or will their cunning foe lure them into a dark and deadly trap? 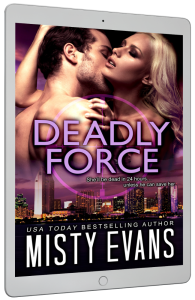 The third installment in the USA TODAY bestselling Southern California Violent Crimes Taskforce romantic suspense series. 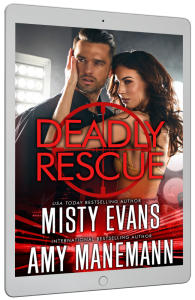 When a deadly scandal threatens the nation, they’ll have one chance to save the day…and one last chance at love. 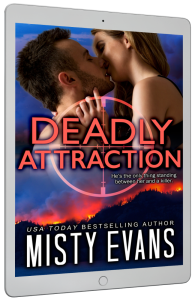 A wildfire out of control & a killer on the loose spell danger for Mitch & Emma in the sixth action-packed adventure in the Taskforce series by USA Today Bestselling Author Misty Evans! **Babies! Christmas! Romance! 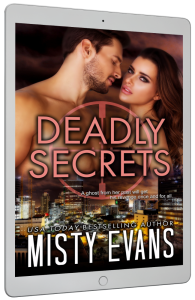 Don’t miss the 8th story in the SCVC Taskforce Romantic Suspense series, featuring Cooper and Celina and their new baby girl!! 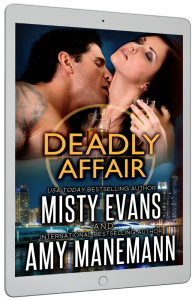 **The first three complete novels in the SCVC Taskforce Romantic Suspense Series! Meet Cooper, Thomas, and Cal. 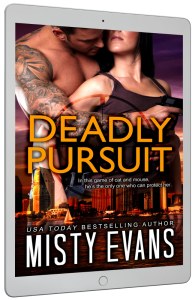 **Contains USA TODAY Bestseller DEADLY PURSUIT, as well as Military Romance and Action Adventure Bestsellers DEADLY DECEPTION, and DEADLY FORCE! From the first meet to falling in love, see how Victor and Olivia found their happily-ever-after. 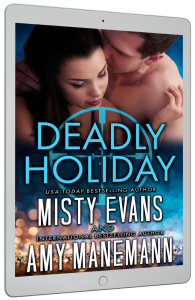 This box set contains Deadly Holiday (where Victor and Olivia first met) and Deadly Target (Victor and Olivia’s full story). It is ONLY available on this website and you get BOTH stories for the discounted price of $5.99. 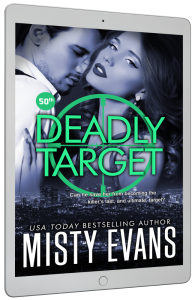 In this page-turning romantic suspense novella in the SCVC Taskforce Series by USA Today Bestselling Author Misty Evans, Cooper Harris and Celina Davenport have their romantic weekend interrupted by an unexpected tragedy … and end up delivering a very special surprise to some dear friends.